The February 2016 event for Sunday Assembly Leeds had a theme of “leaps”. The band played two songs, Jumpin’ Jack Flash by The Rolling Stones and Jump, Jive an’ Wail by The Brian Setzer Orchestra. Since I’ve started spending money with Google Adwords again, they have been emailing me asking to give them a call for a free optimisation consultation. I was a bit sceptical. However, it turned out to be quite useful. 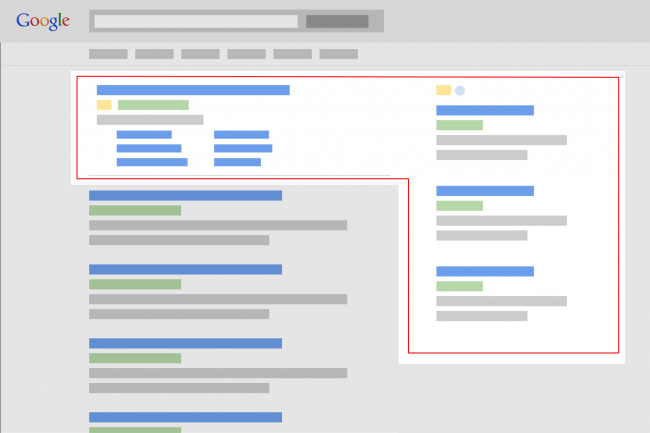 You can match your keywords based on broad matches (any keyword) or phrase (all keywords). For example, if you’re bidding on “pizza delivery”, on broad you would be showing up on “pizza recipes” and “furniture delivery”, which isn’t that useful. You can use site extensions, adding deep links, phone numbers, location, etc. This isn’t that relevant to me, but useful stuff to know. You can see what search terms people are using from inside the campaign data, rather than having to go to Analytics. Some of them I never imagined people would be searching for, and can be used for the basis of campaigns. Scandimania is a 3-part TV series in which Hugh Fearnley-Whittingstall visits Sweden, Denmark and Norway to investigate their cuisine. There is no Finland, but that makes sense given how much duplication there would be with the Swedish episode. While it is in theory about food, it more reflects Hugh’s views on conservation and sustainability. Some of it goes rather darker: discrimination in Sweden, crime drama in Denmark and Anders Breivik in Norway. Each episode bases itself around a concept of modesty and simplicity. ‘Lagom’ means ‘just enough’ in Sweden. ‘Hygge’ means ‘coziness’ in Denmark. The Law of Jante teaches people to be humble in Norway. Perhaps this is another reason not to include Finland, who have ‘sisu’ which is all about having the stoic determination and guts to beat the Russians – probably not quite the character the show’s producers had in mind. All of this means that there isn’t actually that much discussion of food. Therefore, while it was interesting, I think the Hairy Bikers did a better job of exploring Nordic cuisine. I had been mulling over the possibility of getting a stand mixer for months. At Christmas I finally decided to take the plunge and carefully picked over the options. 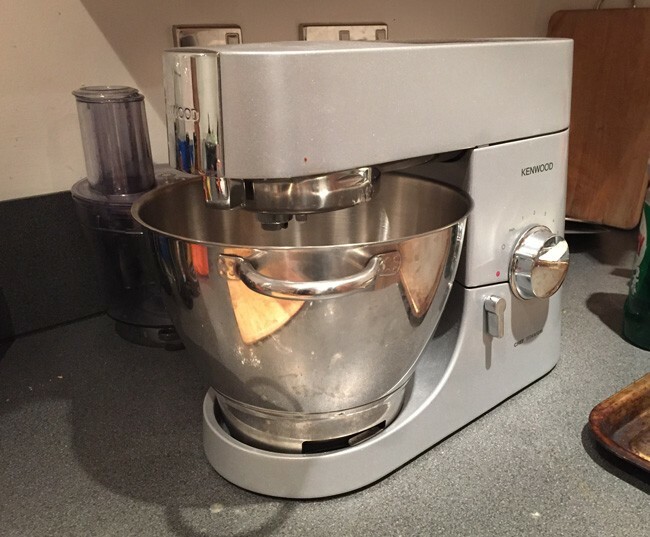 The KitchenAid Artisan mixer looks beautiful. 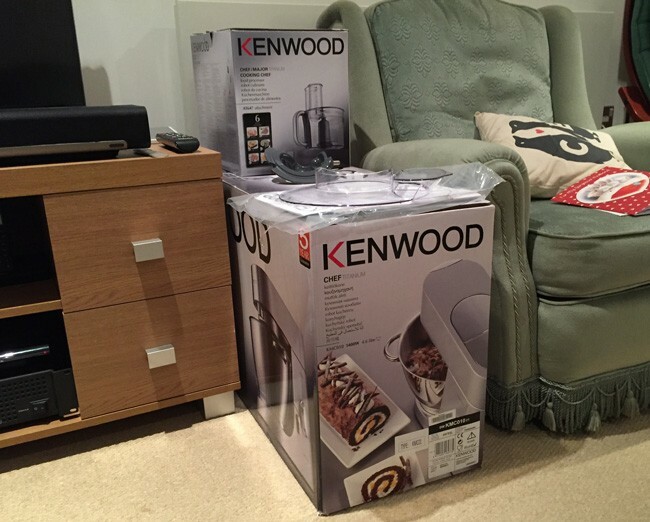 However, the Kenwood Chef gets a better write-up for performance and so I eventually convinced myself to go practical over pretty. It put me in a bad mood immediately as it had a “5 year guarantee” sticker on the side that is incredibly difficult to get off. I had to peel it, then scratch it with my nail, then scrub it several times to get it off. Since then the whole experience has been far more positive however. The box is massive. Probably because there is a stand mixer, a food processor and a blender in the box. 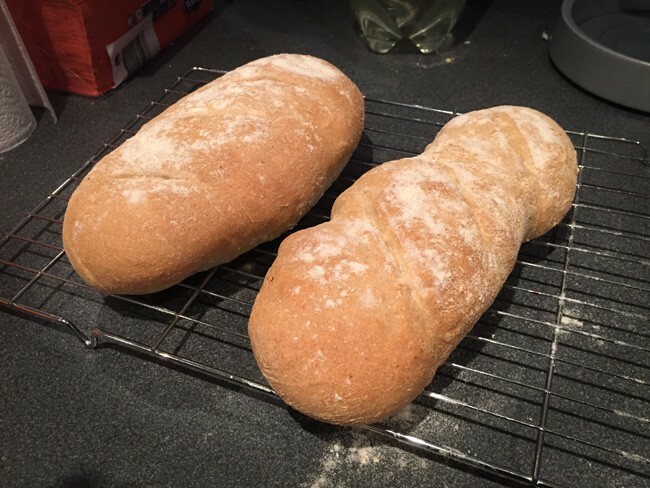 The main reason I wanted a stand mixer was to allow me to make continental bread and enriched doughs, which often require a long machine kneading. I got to work straight away. Fifteen minutes of kneading feels like a really long time. However it actually does take that long to pick up all the dough onto the hook and give it a good spin. 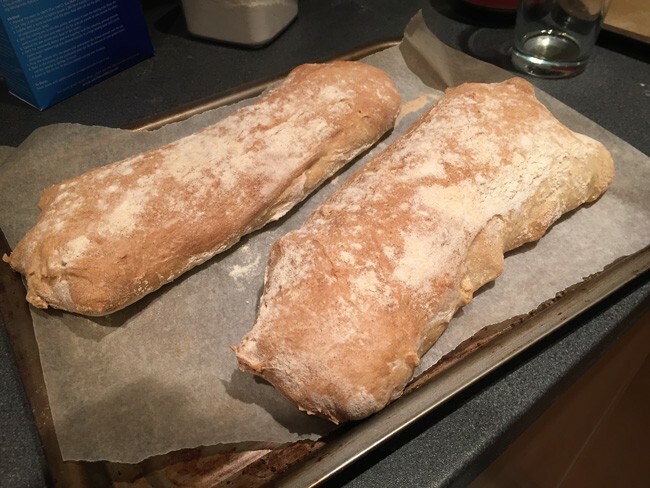 Ciabatta requires fifteen minutes of kneading as well. Elina thinks it looks really ugly. However, it is pretty much supposed to look that way. It also tastes great. In general, it’s nice to be able to throw everything into the mixing bowl and have it mix them for me. I have also tried beating cake ingredients using the k-beater and Elina has tried the whisk for making meringues, both with success. After you are done, it is super easy to clean. Everything is stainless steal, so I just throw everything in the bowl and fill it with hot soapy water. The food processor sits on the top. This comes with the standard food processor blades, which I used to make the mayo that accompanied these squid rings. Even better, it comes with a set of six cutting disks that allow you to slice and grate. So far, so good. I am using it more than I expected. Time will tell if it was worth the money, but it is proving a good purchase so far. 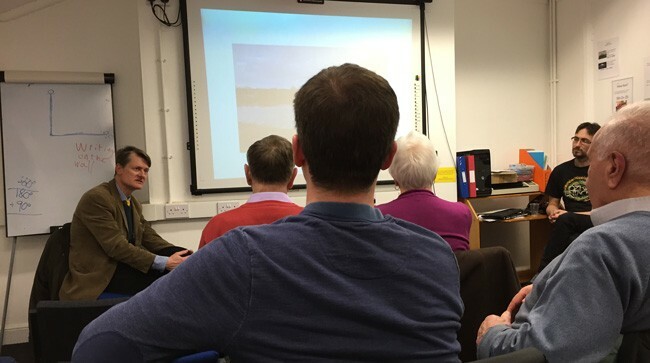 The February lecture for West Yorkshire Humanists was presented by Robin Le Poidevin. He spoke on “Agnosticism and the dangers of stepping-stones”, discussing whether agnosticism could be a stable position on its own, or merely a stepping-stone between theism and atheism (or the other way). The talk was really interesting. One of the big questions is how you live as an agnostic. Where do you take your morality from? Either religion or Humanism, suggesting that you are actually learning one way or the other. The Q&A got a little off topic. Attendance at the pub social after was good. 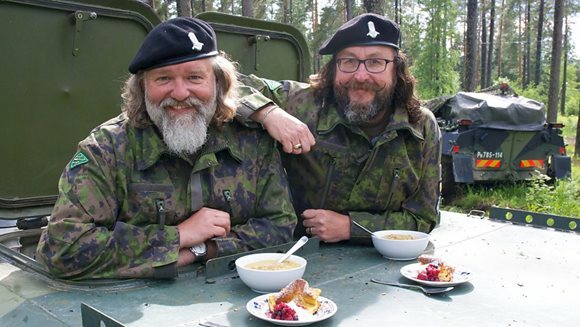 The Hairy Bikers in Finland? We had to watch that, of course. We also watched the Swedish episodes for good measure. I had never seen The Hairy Bikers before I watched it. I have mixed feelings. At first I was put off by the somewhat low-brow comments and humour they seem to display. But I have since warmed to them, and both Elina and I agreed that they did a good job of representing Finland. 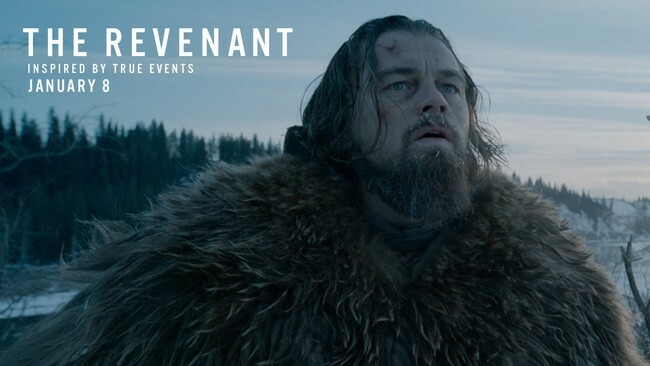 The Revenant is a film based on the Michael Punke’s novel of the same title. That in itself is based on the true story of someone called Hugh Glass in 1823, though exactly how much historical truth there actually is in it I am not sure. It stars Leonardo DiCaprio. I was not aware of this when I watched the film. I did so off a recommendation, so I didn’t really know what it was about. I had seen the trailer during the screening of Star Wars: The Force Awakens but it is hardly enlightening. The problem is that this leaves you without really knowing what is going on. There isn’t much in the way of a plot to follow. Some people get killed, some guy is injured, he doesn’t die, he somehow makes it home to take revenge on someone else. It’s not very clear. Nor is the dialogue. The actors attempt to use authentic accents which makes it almost intelligible to Elina. Some of it seems simply unbelievable. I can accept that you can survive being attacked by a grizzly bear. Elina questions whether you would have all your limbs in tact though. The survival after this is where it breaks down for me though. If he was too ill to stop his son being murdered, how did he then recover enough to find food? How did his leg heal so quickly? How do you spend so much time in a river running through snow-covered mountains, with no change of clothes, and not die of hypothermia? All of that said, I did actually quite enjoy the movie. 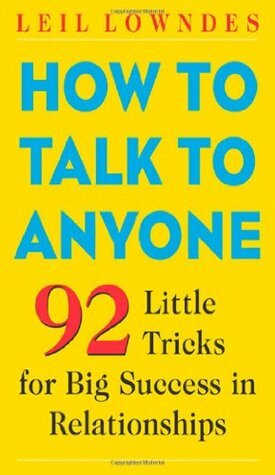 How to Talk to Anyone: 92 Little Tricks For Big Success In Relationships is a 2003 book by Leil Lowndes. I have had it on my iPad for literally years but never got too far with it. Looking for something to read, I found it again and managed to do a little better this time. I originally bought it as I wanted something to help me improve my small talk. Lowndes’s advice isn’t too helpful. She suggests using what I would call “big talk”. To me, small talk is inoffensive general filler stuff, like the weather, whereas she suggests diving in with that is currently in the news. I try to avoid reading news so I am not too keen to try that one. She also recommends avoiding complaining during small talk. I complain a lot, but usually in a jokey or upbeat way. Often involving the phrase ‘middle-class problems’. Maybe I should change this. A lot of the advice is helpful for improving your communication skills. How often do we forget to smile? Or make eye contact with a waiter? I have noticed I do that a lot. I am looking and pointing at the menu, which I think is what most people do, but when you think about it it is rather impersonal. “That joke was designed to get a silent laugh: I’m glad to see it worked! I will be using that one next time one of my jokes at Toastmasters falls flat on its face. She also recommends using visualisation. This means imagining yourself a presentation, or a speech, or even introducing yourself. I do this naturally when I am preparing for a speech and highly recommend it. Act your speech out. Don’t just read through it: make your sofa your audience and deliver it as you will when you actually give it. I was so close! 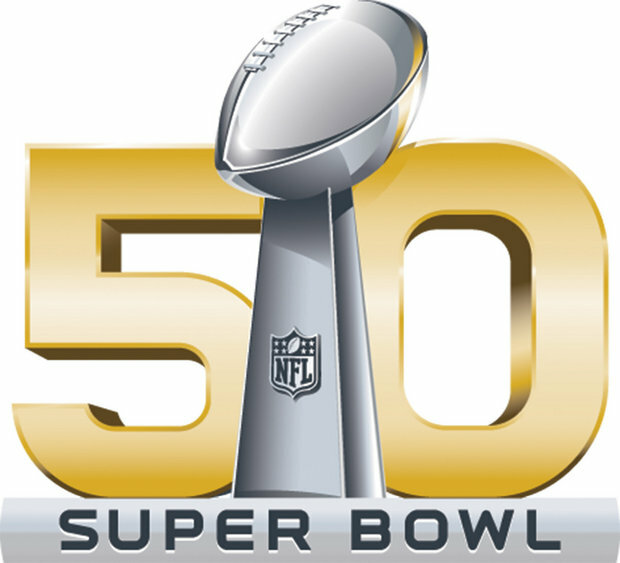 In my pre-play-offs event invite to the Super Bowl party I predicted Patriots v Panthers. Denver beat New England in the AFC championship game to knock my predict off by one. It was interesting to go into a Super Bowl with no real feelings either way. I think was leaning towards Carolina. They have really worked for it this season. However, it was nice to see Peyton Manning go out on a high (assuming he is going, my guess is that he is). In the end, Denver’s defence deserved it. The half time show was okay. Chris Martin was really enjoying himself. I am not sure the rest of Coldplay were, possibly because they were probably miming on their instruments. Usually the light show is a big part of the half time show, but with it being in California this year, it was in the daylight. This took out a big part of it for me. 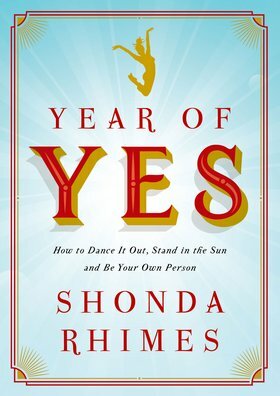 Year of Yes: How to Dance It Out, Stand In the Sun and Be Your Own Person is a 2015 book by Shonda Rhimes. Rhimes is the creator Grey’s Anatomy and a number of other very successful TV shows. In the book she talks about how she made 2014 the year in which she would say yes to everything. What does that mean in practice? A number of different things. Challenging her fears for one thing. She started doing TV show interviews and accepting public speaking engagements. She said yes to her family and started making time for her kids when she ‘should’ have been working. And not feeling guilty when she didn’t. The book is a first-person autobiography of the changes she made and how it changed her life.